In the interest of transparency, and with TAAAC’s permission, I am posting my answers to their candidate questionnaire. Candidates: In order to be considered for a recommendation, you must indicate your response to each of the questions. Clarifications, explanations, and other information may be attached, but please be certain to indicate clearly the questions(s) to which you refer. Please return your completed and signed questionnaire to TAAAC. · In 2002, lawmakers passed the Bridge to Excellence in Public Schools Act (also known as the Thornton Plan) based on the recommendations of the Thornton Commission. While this increased investment has helped Maryland’s public schools and students achieve outstanding results and develop a reputation as a national leader, many unmet needs remain. · The cost of educating students continues to increase. Over the last 10 years, Maryland has seen an increase in our Title I student population of 129% and limited English proficiency students of 88%. With year-to-year increases in special education needs, it is clear that the changing student population is a significant driver of costs. · Maryland had the best schools in the nation for five years in a row from 2009 to 2013, according to Education Week. In 2016, Ed Week ranked Maryland fifth in the nation. Maryland now ranks 2nd in AP performance (2017)—after leading the nation for ten consecutive years—with 30.4 percent of Maryland graduates scoring a 3 or better on AP assessments. And Maryland’s graduation rate is at 87 percent—the highest ever in the state and 3.8 percent higher than the national graduation rate. · There is a critical need for improvement in closing education gaps, expanding programs and services, community schools, and improving student achievement. · The governor will have a significant impact on the future funding and success of Maryland schools. Maryland’s median incomes are the highest in the nation, but school spending is the 10th highest among the states and 16th highest when adjusted for regional cost differences. According to consultants hired by MSDE, Maryland schools are now underfunded by nearly $3 billion annually. That means each of our schools, on average, is underfunded by more than $2 million every year. · MSEA supports legislation to update our school funding formula and policies to ensure adequate and equitable state and local education funding. Our priorities include elevating the respect and support for Maryland’s educators with higher salaries and greater career opportunities, and addressing Maryland’s economic inequality in our schools with programs to target concentrated poverty. Please provide your general and specific thoughts on how the county can address the unmet needs facing our schools. Detail how you would prioritize aid for education in your budget deliberations. Because they are ones closest to the needs of school, I would work with the teachers and other school staff to help identify and prioritize unmet needs that exist in the school system. We need to make up any ground still lost since the recession, this includes additional resources in the schools and making up steps in teacher salary. As a School Board member, I would work closely with our County Council, County Executive and Anne Arundel Delegation to allocate additional funds for local schools according to the identified priorities. 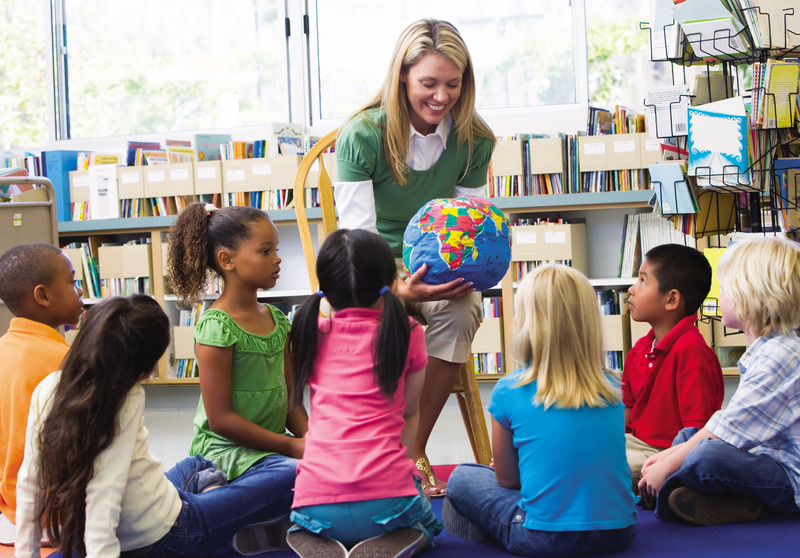 There is considerable room for improvement in addressing educator recruitment and retention. Across the state, educator salaries have been relatively flat for the last eight years. Pension benefits have been reduced but employee contributions have increased. Class sizes have increased as a result of cost-cutting measures and/or due to hiring freezes, layoffs, and retirements. Support personnel positions have been eliminated. How will you address critical concerns with educator recruitment and retention? First, to address recruitment and retention we need to figure out a way to make up for the steps lost by our teachers during the recession. We should focus on the retention of our mid-career professionals by rewarding them for their loyalty and sacrifice during the recession because this is the group that will be the future leaders of AACPS. Demonstrating concrete efforts to make the teachers whole will send a message that AACPS is a desirable place to work and this will also help with recruitment. Second, I would expand our recruitment efforts to develop a pipeline of educators through identification of promising candidates early in their college careers. Additionally, I would encourage concentrated recruitment efforts as situations may arise. The Superintendent’s efforts to recruit teachers from Puerto Rico was a good example of a concentrated recruitment effort to expand in the future. Third, I would encourage the superintendent to incentivize teachers for referrals of experienced high-value educator candidates. AACPS is a community and our teachers know the demands of the job better than anyone. We should be looking to them to aid in our recruitment in ways that doesn’t add to their already over-burdened job duties. Lastly, for retention, I would look to build upon current professional development opportunities. And I would look to give teachers more opportunity to explore professional skill development, so they can have a more fulfilling career while staying close to the students. Do you support or oppose Maryland’s maintenance of effort law that requires local jurisdictions to fund at least the same per pupil allocation in local aid for education as the prior year unless a waiver is granted? I know there was some evidence the law was improperly implemented early on, however it now seems all counties are meeting their MOE levels and are even increasing levels going forward. · TAAAC believes any education dollars spent outside of improving public schools makes it harder to make the progress necessary to provide a world-class education for every student. · The Maryland State Department of Education requires a certificate of approval or registration for private schools; it does not accredit or license them. Private schools do not have to report or administer teacher qualifications, class sizes, adherence to College and Career State Standards, student retention rates, graduation rates, demographics, or discipline or suspension policies. Without these measures, it is impossible to ascertain the standards to evaluate any of the funded programs funneling public tax dollars to private schools. · Carroll County Commissioners created a $400,000 “Educational Opportunities Fund” to enhance and enrich the educational opportunities for home- and private-schooled students. TAAAC is opposed to this type of diversion of public funding with no accountability. As a Board member, are you in favor of allocating public funding to home and privately schooled students? I vehemently oppose diverting Public Funding to private schools. As a core principle, I believe that public dollars should be used to fund public education. Diverting any money meant for public education not only makes little fiscal sense but also does not serve to improve the community in which we live. The entire idea of public funds is that they create more value when aggregated and used for the public good. The distribution of funds and piecemeal portioning to private schools and at home schools creates less value for our public funds and drains needed resources from an already constrained public school system. Moreover, private educational facilities control their own ability to increase funding through their tuition rates. Public schools simply don’t have the same access to resources private schools do. Additionally, the availability of quality education to all students in Anne Arundel County should be the overarching goal of the School Board. When funds are diverted to private schools a situation is created in which those students with the resources of money and time are given an even greater advantage than those students with less resources. This is not a scheme that the School Board should support or endorse in any manner. It is vital that the Anne Arundel School Board use every dollar of public funds to create the best educational opportunities equally available to all students. Lastly, an important factor to keep in mind is that the ramifications of the new federal tax law aren’t known yet. Early analysis seems to indicate that there was a substantial broadening of the tax benefits of 529 funds. If true, this has the potential to offer much broader benefits to parents choosing to send their children to private school and further lends support to the position that private schools should not be subsidized with public funds. · TAAAC believes that educator evaluation systems must be educator-informed, research-based, and collaboratively developed. Evaluation systems should be fair, transparent, timely, rigorous, valid, and designed to improve instruction by focusing on teaching and learning. · Maryland law mandates that student growth is a “significant component” and “one of the multiple measures” in a teacher’s evaluation. No evaluation criterion can account for more than 35%. The law also mandates that evaluation systems must be mutually agreed upon at the local level. · A key provision of evaluation systems is the requirement for local agreement between School Boards, superintendents, and local associations. Such local development allows for the evaluation system to meet the unique needs of each district. · TAAAC believes the continued push for high-stakes student assessments undermines educator’s creativity and their ability to respond to the needs of students. Instead of high-stakes assessments, which TAAAC supports high-quality assessments that support student learning from a rich curriculum and with room for educator’s voices in the development of curriculum and assessment. · Additionally, TAAAC supports rigorous and relevant professional development through the continued alignment of evaluation systems, Common Core, and PARCC assessments. Do you support or oppose local autonomy to develop evaluation systems in compliance with statute and regulation? There are two different types of evaluation being contemplated by this question. The first relates to the evaluation of student’s knowledge, their progression through the school system and their ability to meet graduation criteria. The second relates to the evaluation and assessment of educators regarding how well they do their job. As for the assessment of students, I support a level of high national standards in order to ensure that all of our children reach a basic minimal educational outcome. However, I am in favor of developing assessments of those standards at the state or local level. If it chose to do so, Maryland is well positioned to create another statewide system of assessments given its compact size. I would encourage more conversations around the use of assessments administered at the state level as well as their weight in teacher evaluations. Additionally, I believe that are teachers and students are overburdened with mandated assessments coming from both the federal and state governments. As a School Board member, I would work to encourage the alignment of these assessments wherever possible. Regarding teacher evaluations, I think that there is much more room to evaluate and observe teacher’s interactions with their students and the school community specific to the educational institution in which they work. As a School Board member, I would remain cognizant of the many duties placed on the professional staff of our schools, and to the extent possible, I would work with school management to create and adopt evaluation methods that seek to provide constructive evaluations to the teaching staff rather than serve as another obstacle to the educator’s full engagement with their students. Do you support or oppose efforts to overturn school districts mutually agreed upon, statutorily compliant evaluation models in pursuit of one-size-fits-all models developed by federal and state agencies, rather than local education agencies? As stated in my response to question 5, I do not support a one-size-fits-all model. I hold a preference for evaluation models that reflect the environment in which the educators and other professional staff operate. However, I do believe that there should be some baseline evaluation to ensure that our student population is meeting basic educational standards. At the very heart of my response is the belief that subjects such as evaluations and assessments are very nuanced. As such, I agree that cookie cutter approaches rarely benefit anyone, neither the teachers nor the students nor the administrators. Do you support or oppose efforts to provide educators with sufficient professional development to ensure that they can deliver high-quality instruction aligned with College and Career Readiness. Sufficient professional development is essential to having a school system that empowers students to be successful citizens in the future. If our educators are not equipped with the proper tools and training, then they are at a disadvantage from the very start. A key part of my platform is equipping educators and school staff with the best training and tools available. Not only do I support increased opportunities for professional development, but I would also work to make those opportunities available for all professional staff in our school systems. I particularly believe that it is important to allow our school staff to be equipped to teach students using emerging technologies. This is essential for children growing up in Maryland where the field of Information Technology is booming and will continue doing so in the future. While I understand that the cost of these programs must be balanced with the other needs of the school and I further recognize that School Board members take an executive role in certain school matters, these issues are intricately connected to matters of budgeting and I would take it upon myself to ensure that proper amounts in the budget are reserved for the professional development of educators. · TAAAC supports efforts to protect and enhance the state’s collective bargaining laws. · Collective bargaining is the negotiation of a contract – including wages, salary scale, benefits, and working conditions – between employers and employees. The items agreed to in a ratified collective bargaining agreement apply to all employees in a bargaining unit, providing a benefit to employees and employers in not having to negotiate thousands of individual contracts. Do you support or oppose public education employees’ rights to bargain collectively? I support public education employees’ rights to engage in collective bargaining and I am supportive of their identity as a collective bargaining unit. I am also cognizant that in the current political environment protections for unions are being chiseled away by a variety of sources ranging from judicial decisions to executive actions. I think it is important to have a School Board that is supportive of the fair treatment of public school educators, not solely because of the threat of Union action, but because of the inherent worth that educators provide our society. I seek to play that role on the School Board. While I respect the right to unionize and the importance of the ability to bargain collectively, I also support recognizing the value of public education employees by providing full and fair compensation that reflects that value. How familiar are you with the collective bargaining agreement TAAAC shares with the Board of Education? I am familiar with the collective bargaining agreement and I hope to become more knowledgeable about its many facets as a member of the School Board. In preparation for my candidacy, I have read the collective bargaining agreements for the last 2 years. What changes, if any would you like to see? And how would you honor the negotiated agreement, especially in tight fiscal times? Currently, I do not have any specific recommendations for changes. As for honoring the collective bargaining agreement in tight fiscal times, I would hope to ensure that the county evaluates options for increased revenue before attempting to resort to decrease funding for services as essential to the public good as education. Additionally, we need to find ways to maximize the value of the school budget. I would also actively promote the return on investment earned by sound investment in programs such as School Readiness and Special Education. · It is calculated that school age children spend 70% of their waking hours (including weekends and holidays) outside of school. · Research shows that the most consistent predictors of children’s academic achievement and social adjustment are parental involvement in schools and parental expectations of the child’s academic attainment and satisfaction with their child’s education at school. o Parents’ perceptions that their children and school want them to be involved. As a Board member, what would you do to increase parental involvement and public support for our public schools and educators? The transition to an elected School Board presents a wonderful opportunity to further engage parents in the direction of their school system, as well as the opportunity to foster a greater connection between the School Board itself and the school communities. As a member of the School Board, I will encourage the Board to be more transparent in its processes. I believe that the School Board meetings should spend more time focused on dialogue with the interested parties that attend rather than simply taking up or down votes on blocks of motions. I think School Board members have an obligation to explain their votes when it makes sense and on controversial matters. I also believe that additional transparency on the School Board will encourage people to interact in a constructive manner with AACPS. Moreover, as a School Board member I will be a notable presence throughout the various school communities. Not only will I attend graduations and school tours, but I will also make it a point to attend PTA meetings in my district as well as attend public meetings related to schools. As an elected School Board member with a defined constituency I will be able to foster a relationship with my constituency that will lead to increased community involvement with the school system. And as a result, hopefully, the schools themselves. · Poverty dramatically and negatively affects the well-being of children, particularly in the areas of physical health, mental health, safe housing, access to technology, parental support, family planning services and education, youth employment, and nutrition. Each of these factors play a large role in whether students are able to learn and do well in school—making it imperative that these opportunity gaps be closed if we want to provide equitable education in our communities. According to the data collected by MSDE, 44% of Maryland public school students were enrolled for free and reduced price meals this school year (at or below 185% of poverty). · TAAAC supports the establishment of community schools, where applicable, which are designed to close these opportunity gaps by making the school a hub for essential services that students in disadvantaged communities lack. · Community schools generally have the following four components: (1) they serve a high concentration of students in poverty; (2) they employ a full-time coordinator to lead community school-related services; (3) they conduct a needs assessment to identify key obstacles to learning and the services needed to close the opportunity gaps; and (4) they work with community partners to bring those needed services into the school building or nearby locations to make them accessible to students and community members. · TAAAC supports equitable and adequate resources to provide every student with an opportunity to learn in a safe and non-disruptive environment. Establishing and funding community schools is a research based strategy for closing opportunity gaps and building strong communities. Do you support or oppose local efforts to create and support community schools in areas of concentrated poverty? I support local efforts to create and support Community Schools. While I believe that all schools should be Community Schools in the sense that they should serve as a hub for essential services, I certainly support the prioritization of creating Community Schools in areas where there is a significant opportunity gap and where poverty is a concern for a majority of the student body. There is no other institution that ties our community together like the Anne Arundel County Public School System. The school system is the one institution that should touch every family in the county. As a School Board member, I would encourage greater coordination between the county and state services as well as the public-school system, especially for those schools with students demonstrating greater need. · TAAAC opposes any effort to outsource or privatize education jobs that are part of a bargaining unit. We maintain that any attempt to outsource or privatize jobs of public educators violates collective bargaining agreements because such an effort is in essence terminating or firing bargaining unit positions. · Outsourcing and privatization efforts have threatened teacher and education support professional (ESP) jobs for years. Just in the last three years, Anne Arundel County has attempted to outsource teaching services for deaf and blind students, Talbot County has discussed privatizing transportation services, and Kent County has attempted to privatize custodial services. There currently is a multi-county effort on the Eastern Shore to outsource the hiring of occupational therapists and physical therapists to work in the schools. · When jobs are outsourced, quality control is diminished and safety is compromised. Public employees are subject to background checks that private employers often skip. After privatizing, local School Boards lose control over the individuals working in schools and have little ability to provide input on job performance. · Privateers often use an argument of cost-savings as a means of winning contracts. The amount is often misleading because they low-ball the first year operating costs. Ultimately, they reduce hours, health care coverage, or just cut jobs. All of these steps lead to increased local unemployment and less overall money in the community. As a Board member, are you in favor of contracting out custodial, cafeteria, and maintenance services rather than have those services provided by Board of Education employees? As a School Board member, I would oppose the use of private service contracts to provide services to our schools. Our public schools should not be a profit-making opportunity for third-party organizations. We need a school system dedicated to the benefit of the student body and the county constituents instead of seeking opportunities for businesses to view our students as customers. Overall, when public services have been privatized, businesses attempt to maximize their profits at the expense of the people using the services they provide. Schools play a vital role in the county community. Education is vital for an informed population and schools play a critical role in educating and preparing students to be valuable citizens. A cycle is created in which well-educated students lead to a prosperous local economy which in turn creates a greater tax base that allows teachers and Public-School Employees to be paid fair wages that are reflective of the prosperous county in which they live and work in. Interrupting this cycle by privatizing any part of the school system, will be to the detriment not only of our students but also our county. What are the top three things you would like to accomplish in the next four years if you are elected to the Board? First – better coordination and communication between AACPS and the community. I’d like to promote the value of our public schools and foster transparency in Board decisions where there aren’t any today. Second – an increase in school staff that have direct student interaction. This includes recruiting more staff, trying to make our current teachers whole if they’ve lost steps in their pay and retaining more teachers by giving them professional development opportunities. This also includes the recruitment of staff such as psychologists, social workers and guidance counselors. Third – we need a concentrated effort to grow students out of the bottom two quintiles of the assessments (Did Not Meet Expectations and Partially Met Expectations). AACPS does a good job of creating opportunities for those students in the upper three quintiles. And through initiatives like magnet and signature programs we do a good job of offering opportunities to those at the top level. But we don’t do a good enough job with those students who fall into the bottom two quintiles. We need a concentrated initiative across the school system to identify those individual students and make sure they have the resources and help they need to succeed in our schools. This will include a greater emphasis on school readiness to make sure those students are ready when they start kindergarten. We also need to find ways to improve the high school experience for those who may have struggled to get there.